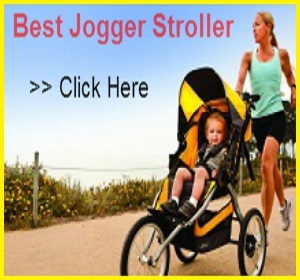 As you can read the name of Mountain Buggy Terrain Stroller Review stroller its name says it all, this is a stroller especially made for travelling for a rough & uneven surface like sand, snow, and beach & for jogging too. It can handle all kind of terrain easily because of its strong wheels. Comfortable seat, huge canopy, safety & durability Mountain Buggy Terrain Stroller Review stroller a perfect one. Let’s go with the details. It rolls on three air-filled wheels with 12″ wheel in the front and 16″ wheels in the back. The front wheel is swivel, but can be locked straight forward. It is good for jogging & for uneven surface like snow & sand. Because of the strong wheel & size it may be difficult for you to take it on a city ride like mall or market area because it will be difficult to move on this kind of area. 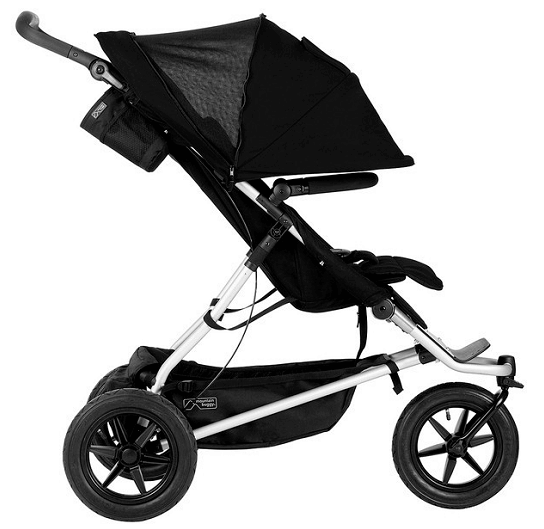 Canopy is very large enough to protect your child from sun & but it also unzips in the back to convert into a ‘floating canopy’ that can go down all the way to the seat. It has a peekaboo plastic window & a small pop-out sun visor. The seat is very large with 14″ wide with 19.5″ seat back and a measurement of 23″ from the bottom of the seat to the top of the canopy. The seat has two-hand strap recline system with two buckles, with the help of these buckles you can recline the seat, the recline goes to a flat position making it suitable for a newborn. 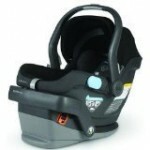 The seat can accommodate a child from birth and up to 77 lbs. 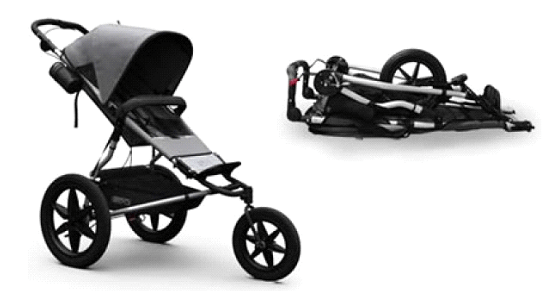 The stroller also can be converted into a travel system with an addition of a car seat adapter or you can even convert it into a pram by replacing the seat with a bassinet. The handle bar is adjustable and goes from 34″ to 46″. Mountain Buggy Terrain Stroller Review will accommodate shorter and taller parents.5 point harness system with buckle gives safety to your child, bumper bar is soft padded & very comfortable to hold. There is a foot brake between rears wheels for safety but it’s not that much friendly. There is one more hand brake located on the handle bar as extra safety features. 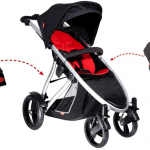 There is one run away strap to control the stroller when it goes down while running. It is very safe in down way road. The shock absorbing rear suspension wheels provide smooth ride to your baby. 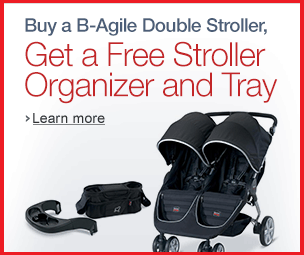 To fold the stroller you need to pull two small levers located on near the foot rest and fold it flat. It does have a standing fold with automatic lock. But one thing may you not like in this “Mountain Buggy Terrain Stroller Review” it is very bulky & heavy to use before or after fold. The basket is very large & can hold up to 11 lbs. you can easily fit your diaper bag in to it & it has a zipper mesh so that your things can be safe. On the back of the basket there is a large zipper pocket where you can store small items like keys, phone, or sunglasses. There are two water bottle holders on both side of the frame to hold your as well as baby drinks. 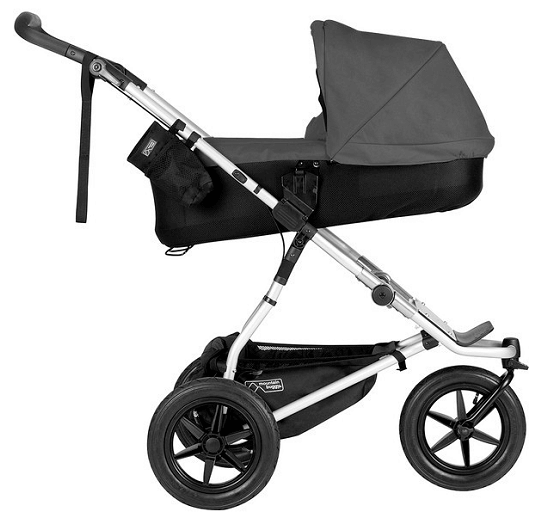 Mountain Buggy Terrain is available in 2 colors: navy and grey. Frames are made of aluminum & seat is made of very soft material which is chemical free & safe for your child’s sensitive skin. It’s made out of water repellent durable 600 denier polyester fabric that is very easy to clean. To conclude this “Mountain Buggy Terrain Stroller Review” I would say for rough surface or travelling Mountain Buggy Terrain Stroller is very strong & durable. Parents who love adventures & love to travel this will not be a wrong choice. 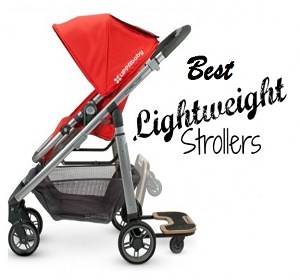 You may feel bulky to handle but after all for a strong stroller you can compromise with it right? 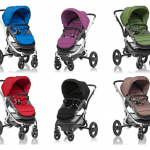 Mountain Buggy gives 1 year warranty from the date of purchase. So make your baby ride adventures with Mountain Buggy Terrain Stroller luxury, attractive & strong stroller & give value to your money.